On 10th October, the Duchess of Cambridge made her first foray back into public life after the announcement that she and Prince William are expecting their third child. The announcement was made back on September 4th, but since then, Catherine has been suffering from severe morning sickness, meaning she has had to cancel engagements, and wasn’t even able to take son Prince George for his first day at school. But the Duchess returned for an official engagement – the Heads Together campaign reception held in honour of Mental Health Day. 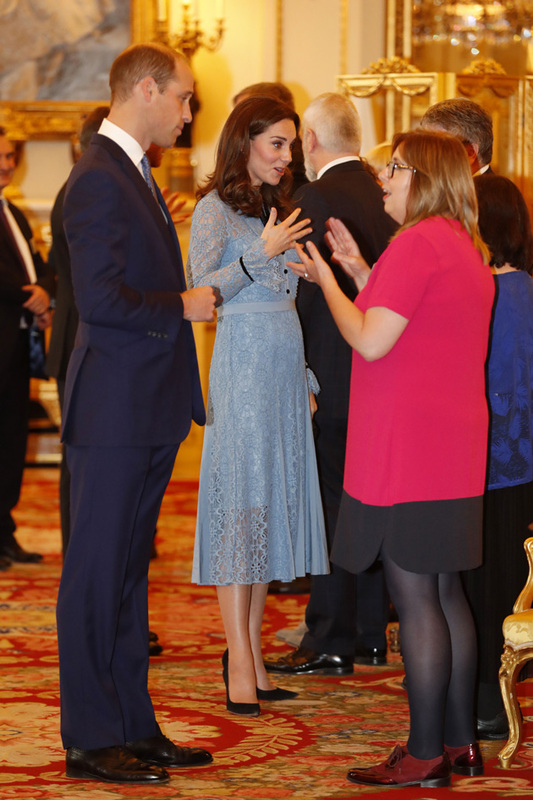 Catherine attended the event alongside the Duke of Cambridge and Prince Harry. And for the first time, Catherine provided a glimpse at her tiny baby bump. It’s thought that the Duchess is little over 12 weeks pregnant, explaining why her bump is still small. 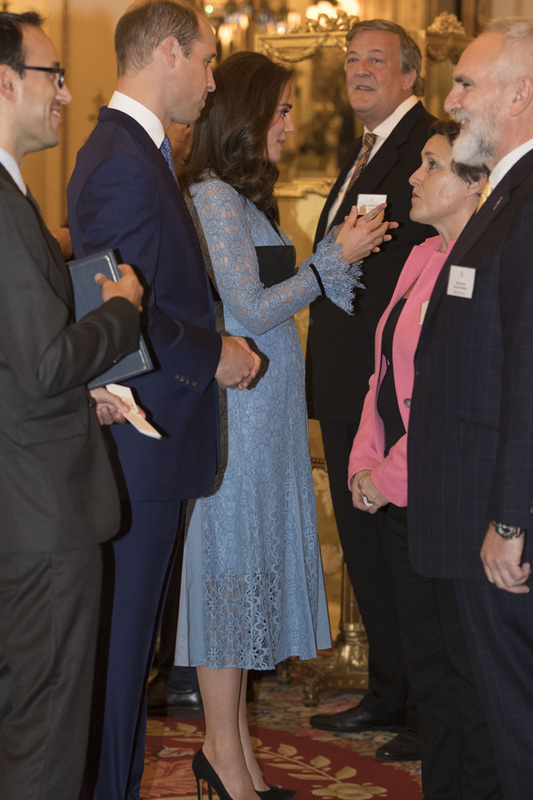 For the event, the Duchess of Cambridge wore a stunning blue lace Temperley gown paired with a simple pair of black heels, and looked relaxed and animated as she spoke to the event’s attendees, including Stephen Fry. However, despite her appearance at the event, an aide close to the Duchess revealed that she isn’t quite feeling 100% yet. In an event earlier in the day, which Catherine didn’t attend, Prince William also revealed that it was in fact his wife who came up with the idea of the Heads Together mental health campaign, which has undeniably opened up the conversation around the subject. In his speech, he said, “Today, we are here to say thank you. Thank you to everybody. When Catherine, Harry and I launched Heads Together, it is fair to say that we were ambitious about what it could achieve. “It was Catherine who first realised that all three of us were working on mental health in our individual areas of focus. “She had seen that at the core of adult issues like addiction and family breakdown, unresolved childhood mental health issues were often part of the problem. 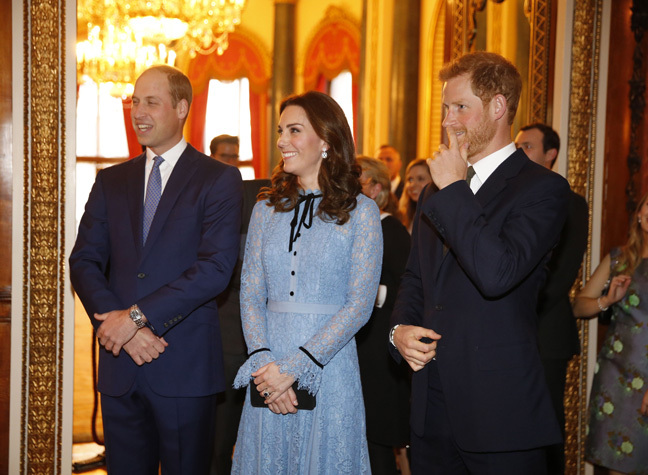 The Duke of Cambridge went on to reveal how Harry’s work in the military and William’s work with the homeless made them realise the need for better mental health care initiatives.